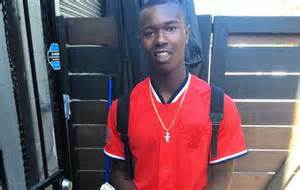 A rising rapper by the name of Willie Bo was shot and killed by 6 police officers after finding him inside of his car sleep. Authorities say they received a call about a man slumped inside his car in public parking lot. Upon arrival, police found Willie Bo inside unresponsive with a gun apparently resting in his lap. Willie's older brother Marc McCoy spoke out about the choice to jump straight to deadly force as he told reporters, “There was no attempt to try to work out a peaceful solution."